If you demand nothing but the best in life, especially when it comes to your coffee, you need a JURA Z6 coffee machine. Known as the "Rolex" of coffee machines, JURA is repped by long-time brand ambassador Roger Federer and specialises in the most high-end, automatic speciality coffee machines in the world. The JURA Z6 is one such example of their sleek and compact machines. With its harmonious lines, clean surfaces and perfect symmetry, it's ideally suited for both your home and office. The JURA Z6 isn’t just good looks—it has technology aplenty and now boasts smart functionality. JURA users will be familiar with the intuitive, state-of-the-art JURA Operation Experience (J.O.E.). In addition to the TFT screen on the JURA machine, it can now be accessed via an app. Simply download J.O.E. from Google Play or the Apple App store, and you will be able to control your JURA coffee machine from your smartphone or tablet. From there, you can customise your coffee strength, milk volume, water temperature (also great for the tea drinkers in your life), brewing temperature, milk temperature, and even milk foam temperature. Once you have found your perfect settings, you can name and save them for another time. It also provides step-by-step guidance on usage and maintenance, providing status reports that can be easily forwarded by email—telling you when to top up on water or coffee beans. A lot of technology goes into producing a great cup of coffee. Soft, filtered water is provided by the CLARIS filter cartridge while the coffee beans are ground to a preferred fineness by the AromaG3 grinder. Next, the amount of pre-brewing water is set to the chosen amount of ground coffee by I.P.B.A.S© (Intelligent Pre-Brew Aroma System) to maximise flavour and produce soft, velvety crema. Finally, water is pulsed through in short intervals by the state of the art Pulse Extraction Process (P.E.P.©) brewing system. Unlike a constant stream of water, this method extracts greater intensity and aroma—particularly for short specialty beverages like espresso and ristretto—and shortens the overall brewing time. JURA technology also makes maintenance a breeze. The JURA Z6 is fitted with self-cleaning technologies that prevent scaling, powder buildup, and other issues common to coffee machines and guaranteed TÜV-certified hygiene. Its trademarked Intelligent Water System (I.W.S.©) uses RFID technology to let you know when your filter needs to be replaced, and of course, J.O.E. (the app) will link you up directly to the official JURA online store for all your top up needs. 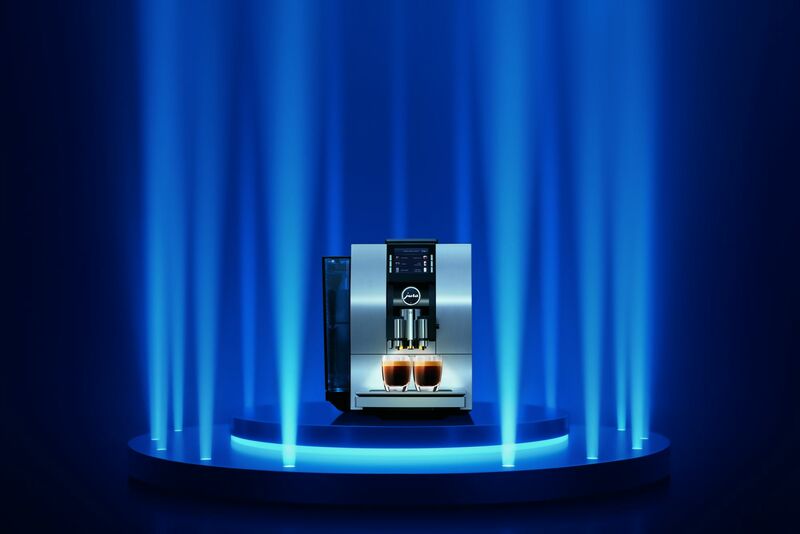 With its sleek design and state-of-the-art technology, you'll never have to settle for less than perfect coffee again. The JURA Z6 is available online for HK$26,880 from Pacific Coffee, J Select and Lane Crawford.